Look closely at the right and left sides of the suitcase. Do you notice anything about the vertical back sides? They are smaller then the front vrticals sides. So you can "fake" perspective simply by squeezing the back vertical lines or making them a bit smaller. Another trick I read about recently to create the illusion of objects receding in space is to try to see the angles of the sides of a box or suitcase as corresponding to the same position as the numbers on the clock. Try either or both methods when you need something with 2 sides recede. 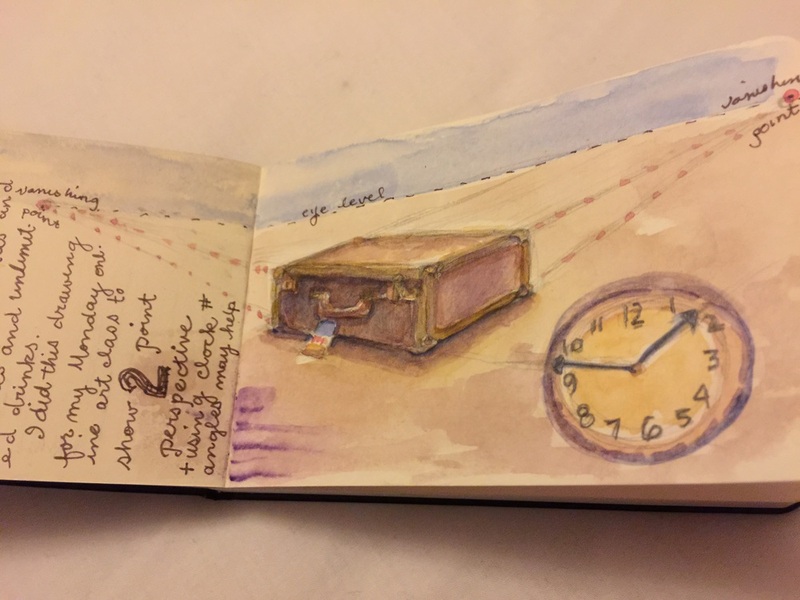 The reason for "first class" in this post title is because I was upgraded to first class on the first leg of my trip from San Diego to Seattle and that's where I did the suitcase painting. We visited Windsor Castle today.